Representations of probability and utility lay at the heart of a two-decade rolling revolution in machine learning and intelligence. A confluence of advances has led to an inflection in our ability to collect, store, and harness large amounts of data for generating insights and guiding decision making in the open world. Beyond study and refinement of principles, fielding real-world systems is critical for testing the sufficiency of algorithms and implications of assumptions—and exploring the human dimension of computational solutions and services. In this keynote address from Asia Faculty Summit 2012, Eric Horvitz, distinguished scientist and deputy managing director of Microsoft Research, discusses efforts on learning and inference, highlighting key ideas in the context of projects in transportation, healthcare, and citizen science. He also describes the composition of integrative solutions that draw upon a symphony of skills and that operate over extended periods of time. 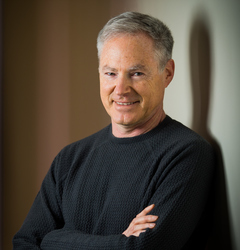 Eric Horvitz, today’s guest, joined Microsoft Research with two colleagues in 1993 to form the Decision Theory and Adaptive Systems group. Since then he has been at the center of a variety of projects focused on machine intelligence and adaptation, and the related tasks of information discovery, collection, and delivery.